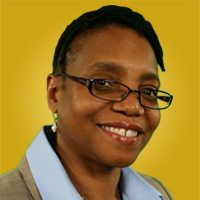 Andrea Gadson has worked in corporate environments for more than 20 years. She has experience in instructional design and delivery, project management, and change management communications. She is the owner of KMA Konsulting, Inc., which provides services in these areas. An essential service is teaching people how to use productivity tools to improve their capabilities and to increase the effectiveness in how they perform tasks. Gadson believes learning has to be intentional and targeted to accomplish a purpose.